An 80th birthday celebration cake! An 8″ and 12″ vanilla cake iced with vanilla buttercream. A 10″ strawberry cake iced with strawberry buttercream. The frame is made out of fondant. 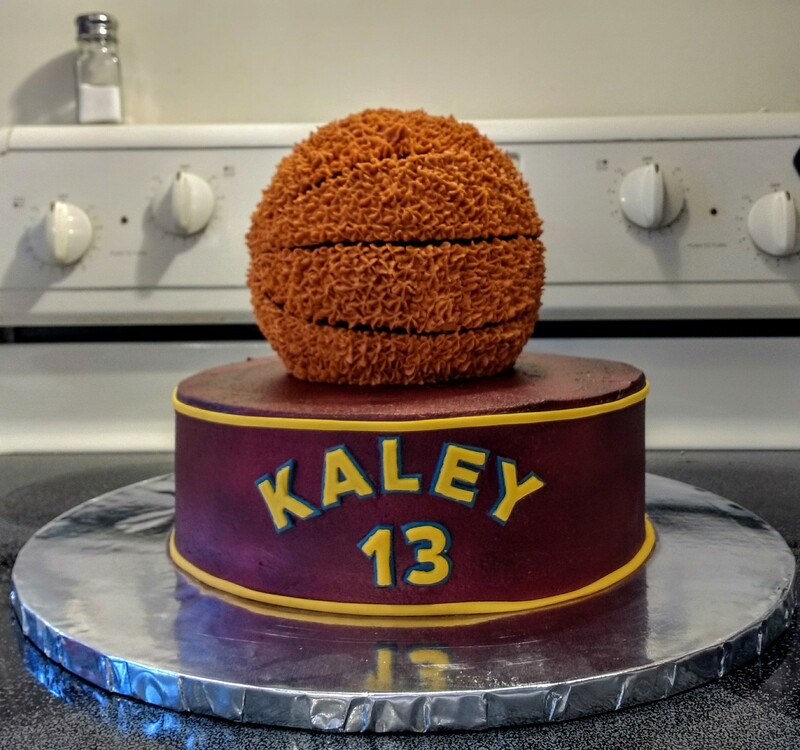 A Cleveland Cavaliers themed cake. A 10″ white cake and a chocolate “ball”cake, both are iced with vanilla buttercream. The name and number are made from fondant. 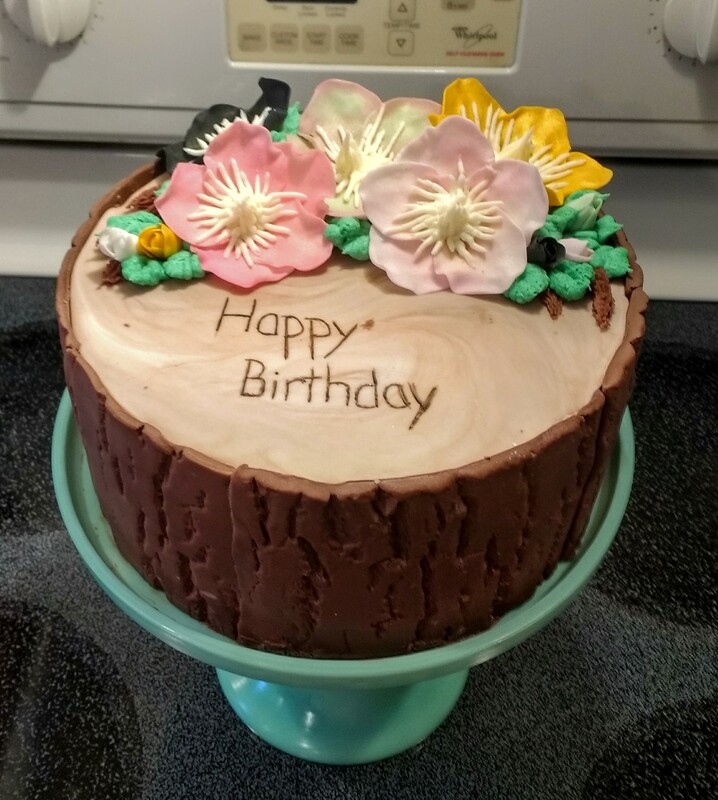 An 8″ chocolate cake iced with whipped chocolate ganache, covered with modeling chocolate bark and fondant hellebores.